Chronic medical conditions and substance abuse often co-occur — this type of co-occurrence is referred to as comorbidity. On the one hand, long-term, regular substance abuse can result in physical damage to various body systems that can lead to chronic disease. One well-known example of this is the connection between long-term tobacco use and various types of cancer, as described by the National Cancer Institute. On the other hand, the extended use of medicines involved in treatment of physical illness can sometimes lead to addiction. Narcotic medications used for pain relief in a variety of conditions can lead to dependence on and abuse of the painkilling drugs. In addition, the emotional anguish that stems from an upsetting physical diagnosis can lead a person to attempt to self-medicate the resulting depression or other mental effects with drugs or alcohol. The treatment of comorbid physical disease and substance abuse is a delicate process. Because substance abuse is also a chronic disorder, it is important to manage the symptoms of this mental illness while also treating the physical disease in order to avoid relapse into substance abuse. For many of these chronic illnesses, stopping use of the substance will not reverse the physical disease, resulting in a need to continue to manage both the substance abuse disorder and the resulting physical illness for the rest of the person’s life. The medicines used to treat disease are abused, and this abuse leads to addiction. Long-term use of medicines used to manage the symptoms of chronic disease, such as opiate pain medications, can lead to physical changes in the brain’s pleasure and reward systems. These changes, in turn, can result in tolerance of the drug, as described by an article in the AAPS Journal. This means the person needs more of the drug over time to feel the same degree of effect. Tolerance can result in the person deciding to take higher doses of the drug, or use it more often, which can then lead to a higher degree of tolerance. This vicious cycle leads to addiction and risk of overdose. The condition causes a mental health disorder that contributes to initiating substance use. When a person receives a diagnosis of physical disease, there can be a profound effect on that person’s mental health. People with chronic illness have high rates of mental health disorders, as indicated in a large-scale review from the Substance Abuse and Mental Health Services Administration (SAMHSA). These can include depression and anxiety, among others, which the person may try to ease through use of alcohol or illicit drugs. If this continues on a long-term basis, a substance use disorder may result. Substance abuse risk is often higher in those who have chronic disease than in the general population, for all of the reasons described above. For example, according to a study in Pain Medicine, about 29 percent of cancer patients were found to be at high risk of abusing their opiate pain medications. This is a complicating factor in the treatment of both the disease and the potential substance abuse that creates a challenge both for the patient and treating physicians. When it comes to the global rate of disease, the contribution of substance abuse may be higher than some would expect. According to a study in The Lancet, drug and alcohol abuse combined account for nearly 20 percent of the global burden of disease, indicating that this problem is not only one for individuals and their doctors, but for communities at large. For this reason, treating substance abuse concurrently with physical disease treatment, whether the substance abuse is a cause or a result of the illness, is vital to managing this disease burden for a number of the world’s most common and challenging chronic illnesses. A challenge in treating addiction in cancer patients, especially those with advanced forms of the disease, is that some doctors may think there’s little point in managing substance abuse for someone who is dying or in extreme pain. These physicians may feel that the substance abuse is providing relief or a source of pleasure and hesitate to take that away. However, substance abuse can interfere with more effective pain treatment, as described in a study from the Journal of Pain and Symptom Management. The opposite is true as well. 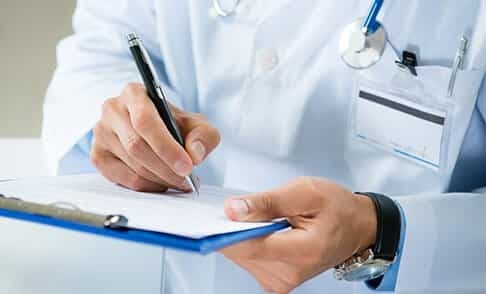 Other doctors may find that a person has an addiction risk, and decide not to give the person the pain-relieving medicines needed because of this risk. However, this may lead to the person seeking out medications illicitly and using them in ways that are more likely to lead to addiction or overdose. According to an article in Canadian Family Physician, the answer is neither to deny the medication nor to allow an existing substance use disorder to continue untreated. Instead, providing a treatment team that includes only one prescribing doctor and one pharmacist as part of the team, as well as teaching other pain management therapies as a supplement to the medical treatment, can manage substance abuse risk while still providing pain relief. Controlling dispensed amounts and the method of administering the drugs, and even performing pill counts to ensure that the person is taking no more than the prescribed amount, are also parts of this plan. Managing substance abuse is also important for the individual whose cancer is a result of the abuse. While the cancer will not go away with cessation of substance use, continued abuse of the drug or alcohol can make the condition worse and interfere with treatment. For this reason, managing substance abuse can potentially provide a better outcome for the cancer treatment. Substance abuse in people with type 1 diabetes can lead to a life-threatening complication called ketoacidosis. This condition can cause a high blood sugar level, as well as high levels of a type of blood acid – called ketones – in urine. A study from the American Diabetes Association demonstrates that alcohol use – as well as use of heroin, marijuana, and club drugs – is often found in people with type 1 diabetes who are diagnosed with ketoacidosis. The article also shows that the number of people with type 1 diabetes who also abuse drugs has been increasing. According to another study from the American Diabetes Association, while moderate alcohol consumption can lower the risk of type 2 diabetes, high alcohol use can actually increase the risk of developing this illness, particularly for women. Because substance abuse can cause and complicate both types of diabetes, individuals who have comorbid substance use disorders and diabetes should be treated for substance abuse while diabetes treatment is ongoing in order to help the person avoid these complications. In addition, it can be helpful to screen those who present with ketoacidosis for substance abuse to treat any underlying substance use disorder and avoid further risk of this complication. If substance abuse treatment is initiated in time, and substance use is ceased, the liver damage can reverse itself. However, extreme or long-term damage may require a liver transplant or similar drastic measures to save the person’s life. Nevertheless, the journal Liver Transplantation asserts that this is not the only treatment needed. The study showed that there is a high risk of relapse to alcohol abuse after transplantation, which could lead to the same problems later on. The study showed further that this risk is mitigated only by providing substance abuse treatment both before and after the surgery to support the person in avoiding future alcohol abuse. According to the National Institute on Drug Abuse, most drugs of abuse have a negative effect on the cardiovascular system. Depending on the ways in which the drug of abuse affects the brain, it can cause the heart to race or slow, resulting in damage to the organ itself or to the blood vessels. Over time, this can result in heart disease that leads to stroke, heart attack, collapsed veins, and high blood pressure. Again, resolving the substance abuse will not necessarily resolve the heart disease. However, when a heart condition already exists, using drugs that affect the heart rate can exacerbate symptoms, resulting in a higher likelihood of having a heart attack or stroke while the substance is being used. This makes it vital to treat any substance use disorder that occurs with heart disease, either as a cause or otherwise concurrently, to avoid these life-threatening events. While smoking tobacco and marijuana seems to be the most obvious route to respiratory damage, inhaled substances are not the only drugs to cause lung disease. Heroine, cocaine, alcohol, and tobacco, among other substances, all contribute to increasing diagnoses of and problems with asthma, as explained in the Journal of Lung, Pulmonary & Respiratory Research. 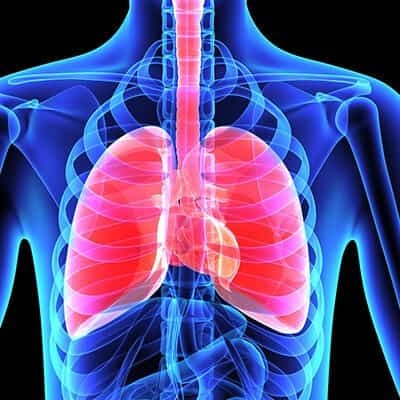 Emphysema, chronic obstructive pulmonary disease, and chronic bronchitis are also lung diseases that can be caused or otherwise affected by substance abuse. Many of these drugs can have an effect on respiratory rates, exacerbating symptoms for people who already have a form of lung disease. In addition, continued exposure to smoke or inhalants can irritate already damaged respiratory passages, resulting in acute respiratory events or respiratory failure. While treating the substance abuse will not reverse respiratory disease, it can prevent the disease from worsening and help to avoid acute attacks.